Robin plays a crucial role in our office, helping things run smoothly and working hard to foster the warm, compassionate, and professional atmosphere we strive for at our practice. She first entered the dental field as a graduate of Lansing Community College's Dental Assistant Program and has worked in the dental field for over 37 years. From explaining dental insurance benefits to coordinating treatment to answering questions, Robin is an invaluable asset to our team! When she is not busy at the office, Robin enjoys spending time with her husband, three children, and three grandchildren. She also enjoys traveling and attending sporting events. 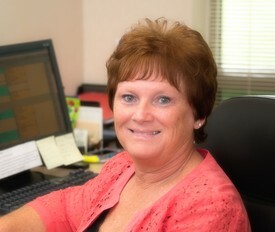 Mary Jo graduated from Wayne Community College (Goldsboro, NC) and has over 25 years of dental experience. She frequently receives compliments for her friendly and professional approach to patient care. Mary Jo understands that anxiety is natural when most people visit the dentist - her method of dental care always eases her patients. When she is not working, Mary Jo enjoys spending time with her husband and two sons, loves to travel, and is a die-hard Spartan fan. Laura joined our team in January 2013. 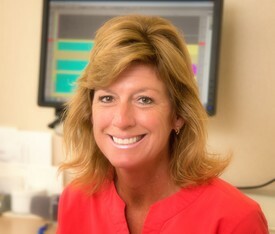 She completed her dental hygiene training at Lansing Community College and has worked in the dental field for 24 years. Laura is noted for her calm demeanor, gentle touch, and thorough approach to dental care. Her soothing manner transforms her patient's visit into a positive experience. Outside of work, Laura loves spending time with her two sons and her granddaughter, whom she adores. She enjoys traveling, water activities, and attending sporting, theater and live music events. Laura has also been a member of five medical mission trips and hopes to be a part of additional mission trips in the future. What Lorie loves most about her job is having the chance to bring a smile to each patient's face. As Dr. Day's assistant, she ensures that patients are comfortable and relaxed during every procedure. 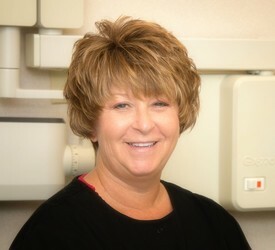 Lorie joined our team in January 2013 and has been in the dental field for 26 years. In her free time, Lorie enjoys spending time with family, card making, basket weaving and watching MSU and University of Kentucky basketball. Sandra joined our team in 2013 and has been a great addition to the practice. She has 23 years of experience in the dental field and wears many “hats” in our office: she assists with reception, scheduling, and insurance coordination, and occasionally serves as Dr. Day's dental assistant. Sandra is a team-oriented person and is happy to help where ever she is needed! When she is not working, Sandra enjoys spending time with her husband, six children, and 15 grandchildren. She also loves traveling and crafting.